This entry was posted in Uncategorized and tagged 50K, a fib, anticoagulant, arrhythmia, athletes, atrial fibrillation, blog, blood thinner, heart, marathon, mountain biking, paroxysmal, persistent, pradaxa, running, slow, Trail running, ultramarathon, ultrarunning by michaelpmccullough. Bookmark the permalink. Update….Hi everyone. Went for my one month checkup at the cardiologist today and the results were better and improving. The Doctor said my heart has shrunk by a noticeable margin which is a good sign. (had an echo) It’s getting stronger. The ejection fraction went up a bit as well to around 37%. Getting nearer to 40% then in a few months hopefuly 50 or 55%!! I was also able to wean off one med by half. I felt it in my run today….a really great run. Will continue on meds and suppliments plus exersice and diet as is for another month. See ya then! Outstanding – it is nice to hear that people can improve! Which meds were you on and what were you able to discontinue? Walking for twenty to thirty minutes may be just as good as running, our bodies were ‘designed’ to walk, and better serve to prolong life and robust good health. Scott, thank you for posting this link. It validates my routine and addresses diminishes returns. 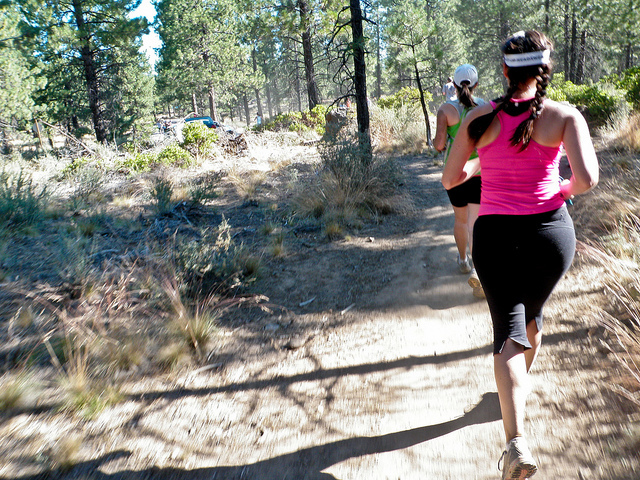 You may not get the runner’s “high,” but it’s a heckuva lot easier on the knees! I weaned myself off metoprol and ran my first race in five years,2 years since my ablation.I ran 8.26 per mile for a 5K.I had been off the metropol for five days after taking it for two years.Is it a drug that takes time to completely leave one’s system?I didn’t have a proper warm-up ,which I now find important.Most days I run I don’t feel good til about 15 minutes into the run.I felt like I was huffing and puffing the whole race and never felt comfortable. When I run I feel fine but sometimes while sitting I will take my pulse and it seemsto skip a beat. I am 61 years old and would like to stay off the metoprol and get off my other meds. If a second ablation could help me do that I would gladly go through with it.I want to Actually give running one more try before I become a medicated every other day twenty minute jogger.I used to run a 31 minute 10k. I do not like running slow,but it’s better than not running at all.I still feel better mentally no matter how slow my training runs are. Metoprol did nothing for me, but taking amiodorone did a conversion in only 5 days, after 2.5 years in afib. 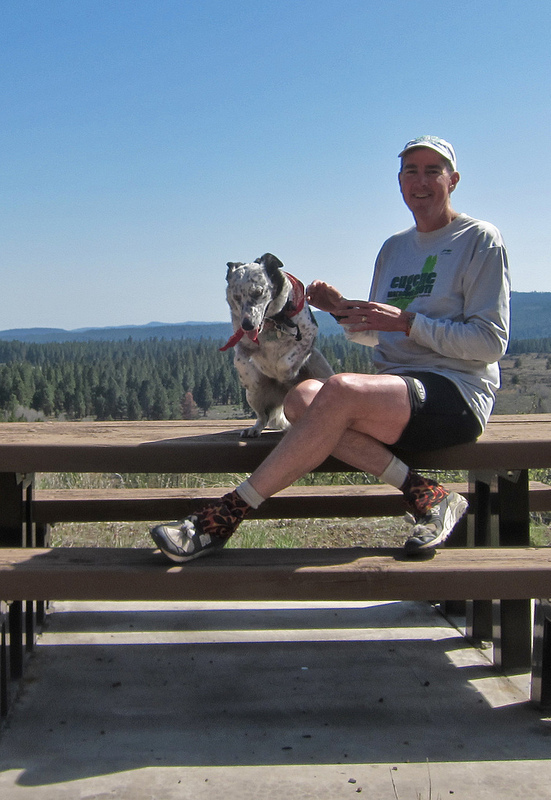 After my second ablation 8 months ago I will be in a 50 mile trail run next weekend. Feeling blessed at age 62. It has been 6 years since my ablation.I have been lucky with no problems with my Afib.I only take a 10mg. lisinopril and a baby aspirin daily.I was running and racing with no problems.Iwas getting faster until a bad knee sort of did me in. Thanks, Joseph, It’s great to hear you are staying away from Afib! Wow – thanks for the great, thoughtful comment – very much appreciated! Your story mirrors mine exactly. I’ve been getting AF since 1999 and had cardioversion 4 times. I recently had my annual check and was told that I was in AF, which surprise as I always knew before. I may be in Permanent now, but unlike before I decided to carry on running. My times are similar to yours between 11:45 and 12:30 min/mile. I now run and walk on road/trail up to 10 Km, trying not to be governed by time, walking when my legs go like lead. Im not stopping this time and will keep going. Hadn’t considered the Ultras but may try when I’m.feeling more positive. It’s no longer “No gain without pain” but all pain with no gain. Still I’m.working on it and after reading your info it’s certainly spurred me on, so thanks! I am now 50. Over the last 16 years I have had 8 cardioversions, 2 ablations and a mini-maze. All of them reverted back to AF. I have been permanant AF for over 2 years. I still do body combat classes at the gym twice a week then either another class or a 5km park run on Saturday. I yearn to still compete with people in their twenties but cannot come near with AF. My best 5km time is about 26:30 mins. I start panting and sweating a lot earlier than I did and have a period of doubt at the start of every run but it passes and I thoroughly enjoy it. I just don’t have enough energy in the tank to compete properly and end up just enjoying the run. My doctor says “don’t push it” so I do back-off sometimes and don’t feel as guilty for walking up steep hills. Reading that you still run so far gives me confidence that I am not an only one with that mindset. When I was diagnosed AF I wrongly treated it as a massive problem. Now I forget that I have it almost all the time. I would like to remind anyone reading this to get medical advice before attempting exercise. I had my 2nd ablation with a pulmonary vein isolation 8 months ago, and will be running in a 50 mile trail run next weekend. I take small dose or amiodorone still, until the prescription runs out and then will try to delete the meds. My last afib lasted 2.5 years. The amiodorone did a medical conversion after the first 5 days. It was so bad that I sometimes could not get out of bed, and any running was a chore. I could not even take my pulse, because I could not tell what was a beat and what was not. I am now in the steady mid 60’s beat at rest. I believe 100% in the skills of my cardiologist, who has been a doctor for 35 years, and has done thousands of procedures here in south Texas. I SOON WILL BE 63 YEARS OLD. Wow. This is crazy. I am not a distance runner by any stretch. I run or do “the fat man shuffle” as my 12 year old son refers to it. Between each 25 and 30 k/week. Had several episodes where I became winded and my heart rate monitor said I was blowing 220-250. Thought it was an error but had stress test and hit 250. They suspended the tests , sent me to er, and then released me with a 2.5mg dose of bisoprolol fumarate. Instructed me not to run, bike and basically lead a sedentary life until they get back to me.. I have been trolling the net to get info since, and am greatly relieved to hear so many people still run and exercise with these issues. I was beginning to feel like I was sentenced to a lifetime of walking the dog, but never playing a sport again. Thanks for the pick me up. Thanks for your kind comments. I hope all goes well with your a fib adventure! It’s been over 1.5yrs since my last ablation and I have been steady/sinus rhythm. I only run 10-15miles per week but do other activites like boot camp class 2x per week and a tabata class. Ever since this summer started I also try to do a 5k once a week on weekends. So far I’ve gotten my times down to 20:30s. When I started back to running I was at 24min 5ks. I will probably never see a 16min 5k again but I am going to try to get as close as I can !!! Thanks for your kind comment and thanks for being an inspiration for me. Yes, I am still in a fib and evidently will remain that way. The a fib isn’t so bad but the beta blocker, which seems to be helping, really slows me down. I’d love to hear more about yr experience and about what yr EP recommends. Hi, just returned from new EP and tests. Things went pretty good. The tread mill test was a little wierd they keep asking if I was OK and if the grade was too much. This after two 3 minutes sessions. Speed 3.4 MPH grade 10%, but it got the heart rate up a bit and they were able to do the ultrasound which turned out excellent. He started me back on Amiodarone 100mg once a day and uped my eliquis to 5mg twice a day. going back in 3 weeks to schedule cardio shock procedure, which he thinks will work but probably not that long. Then he would to the ablation. He said it was OK to keep my active lifestyle, which not sure he completely understands. Thanks again for all the great info. .
Well 1 week from today I will be doing the Javaline 100K race/walk. My EP scheduled a cardioversion for Nov 3. Still in AFIB. did a 20 mile walk this morning 4:45 felt pretty good, just the uphills I have to be carful with. Will update on the 4th. Hi Well finished the Javaline 100K over the week end. .A little slower than hoped for (18+ hours)but monitored heart rate and when it got to 150 just slowed down. EP was going to do Cardioversion next week but decided to wait another 3-4 week for amiodarone to get into my system. Fantastic race and aid stations. But very frustrating having to go slow. Far out – way to go! Hi Michael, quick update. 1 week from tomorrow will be doing a cardioversion wiith TEE. I did a double race this weekend 1/2 marathon (2600 feet of elevation) sat and 10K (1100 feet)today. Figured out a kinda Shuffle some where between a fast walk and jogging. But felt very easy. (HR 160-180) 1/2 marathon was 2:58 and 10K 1:16 both good for 1st place in 70+. and yes there were 2 others in each race HAHA. Hi. I have just been diagnosed with Afib (sinus rythm) after 9 years of trying to get diagnosed. I am a very keen runner and climber! It’s such a relief for me now I know what I’m dealing with and also to be able to talk to someone with the same condition. After reading your blog I would say mine is intermittent! Although I’ve had it for weeks at a time. Also I get it more violent sometimes than others! I’m a 41 year old male. 6’4″. Do you experience different levels of Afib? Would be great to here from you . Thanks for your kind words. I’m 6’4″ also, or at least I used to be. I’ve certainly shrunk by now. My a fib is constant and doesn’t seem to ever worsen or improve. Do you think that a person running per the ‘Maffetone Method’ (180 minus age for heart rate) can prevent ‘Runner’s AFIB’? (My terminology). Thanks for the interesting question. As for me I have no idea. You might try asking Dr Maffetone – if he is available online. My gut instinct is that it wouldn’t help. A lot of s fun runners are from the long distance endurance branch of the sport. But I really don’t know. Looking forward to replies. Hello, Does anyone know whether or not if someone runs per the ‘Maffetone Method’ (180 minus age for your heart beat while running) that will prevent a runner from getting “Runner’s AFIB”? (My made up term). 71years old female distance runner, diagnosed a week ago with afib after incident in 10 miler, hospitalised for tests. Beta blocker and blood thinner prescribed- seem to work. Big But- I desperately want to get back to running asap! Have to abandon Paris Marathon this year, bummer! Will I return to gentle running? Feel tired s lot now, with slight tight chest and breathlessness. 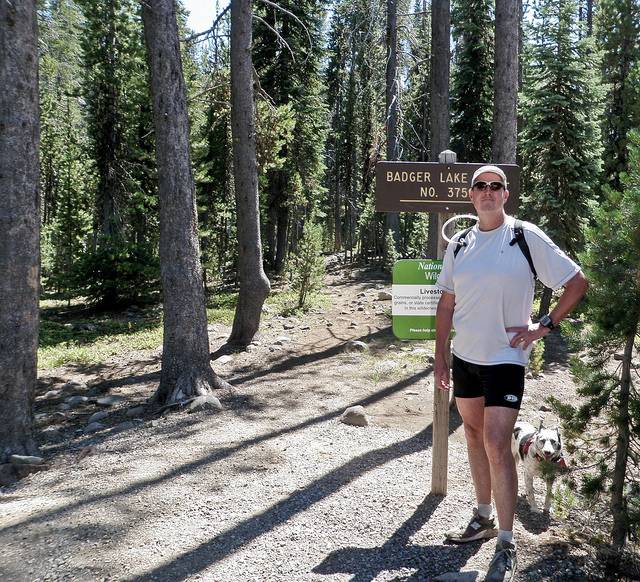 My experience – I was able to run a couple of slow marathons in a fib and one 50K – but once I started the high dose of the beta blocker, well, mostly just hiking now. But I’d like to try a 1/2 marathon in October in order to get back in the groove of things again. Thank you for replying, Michael. I see doc tomorrow, so will have an idea of future possibilities after that. Withdrawal symptoms are kicking in for me- so miss my usual local runs the N our beautiful countryside! Don’t give up. Some meds will make you more tired than others. I have had 2 ablation procedures. Weaned myself off all meds, amiodorone worked wonders. Am running decently at 64. Finished a fifty mile trail run in Texas in February. Training for more. Let me know how it goes for you. I feel much better now, medication seems to have kicked in! I feel so much better than I did in January after a pleurisy infection. Also, I have only just realised that dizziness ( which happened so gradually I didn’t know it was there!) has totally vanished! I’m 77. Do a combo of stretch/strength exercises and walk daily (sometime mountain hike and meditation. Live at 6500 feet and occasionally hike at about 10K feet. Less episodes when traveling to sea level, but not sure if this is a significant trigger. Intermittent AFIB that is becoming more frequent. No meds, but rely on supplements. Fear of stroke from docs has kept me from pushing. Episodes have included a pain radiating down left arm, shortness of breath and some chest pain, which often lead to conversion. Sort of a bad news/good news story. Have derived much inspiration from this blog! Thanks for your kind words and comments – be careful out there! I would recommend you get a good experienced cardiologist who is an EP specialist( who also has a good reputation). Mine has 30 years experience and I have total trust in his ability. I’m back to decent running again, training for my next 50 miler. I’m not in the medical field , but have done some research since I too have had my share of episodes with afib. I have been afib free now for almost 2 years, following 2 years of a constant afib, and zero energy. It’s a world of difference. At age 64 looking forward to many more races. Words of wisdom. I agree completely. It appears that blog contributors here have faith in their docs. I had 3 insist on Metoprolol. The handout that came with the drug clearly stated that it was Not for people with low blood pressure, which I have, and it made me miserable. After a couple of months I quit and have since relied on supplements and a lo-dose aspirin. Still get episodes (also did on Metoprolol), but feel 100% better and can maintain my fitness program. Metaprolol did nothing for me. Amiodorone stabilized my rhythm in five days. I have been off all meds except aspirin since December 31. My ablation of June 2014 is still good and running is good. Those of you on Nadalol, what is your dosage? and when do you take it in comparison to when you exercise? just curious. I take 10mg at 8am and exercise between 6-8 am – so I take it after I exercise. Not familiar with that drug, had good results with amiodorone. Nadolol is a beta blocker. I take carvedilol which is a different drug, but is a beta blocker also. My experience is that the beta blocker really “takes the wind out of my sails” as far as exercise is concerned. It slows the heart and I really notice it when trying to go uphill. I understand that I need to take it – so I take it. I don’t like it, though. You are improving your athletic performance by taking it after your work out. Hopefully your heart rate won’t go too high during your work out. I take metoprolol as my beta blocker and losartan as a ace inhibitor. I had afib from 2000 through 2015 with minor symptoms until the spring of 2015. At that point I became easily fatigued, lightheaded and just generally weak and tired. After a series of tests they discovered i now have ventricular runs or extra ventricular beats and low ejection fraction. So I take metoprolol for the ventricular runs and losartan for the low ef. Now I find it’s now best to run 8 walk 2 or run 4 walk 1. I used to workout at a 9-10 minute pace and run a 5k at a 8 to 8:30 pace. Now my workouts are at 12-13 minute pace and my 5k pace is 11-12 minute pace. I don’t like it! But I’m still running, moving and it’s better than the alternative. Right on – that’s very similar to my experience. At this point I’m mostly just happy to still be out there! in 2000 when I was first diagnosed with afib I was 43 and didn’t have symptoms until 2015 when I was 58. Wow – you’ve been achieving some outstanding goals – really completing some races – congrats! I have absolutely no input with respect to your amiodarone or the vibration machine but I would like to invite anybody who does to post a response. Amiodorone stabilized and worked well for me. Weaned myself off it a year after my second ablation. 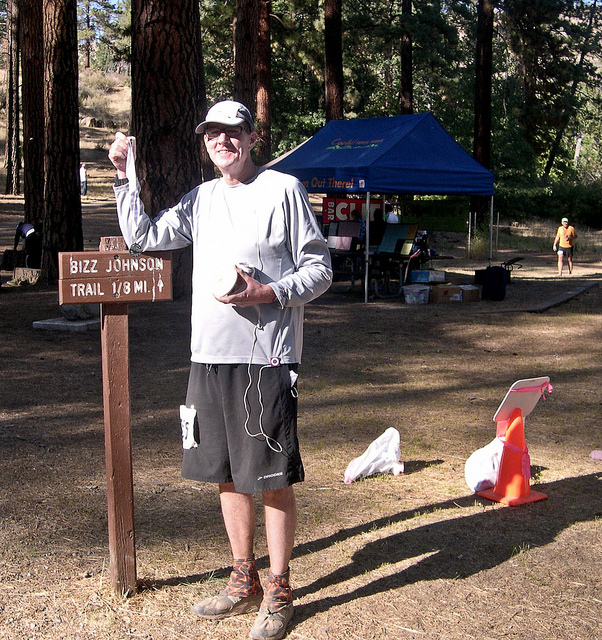 Training for Arkansas 100 at age 64. Averaging 10 miles a day in south Texas heat. I have no experience with your other issue. Not on any meds except aspirin. And athletic vitamins. Get that ablation, I have complete faith in my surgeon and you should find one that you do too. 3..24 . I still managed to run in af although not as quick , had a cardioversion and managed to keep running ok . Went back into af three years later and had another cardioversion continued running managed a 10k in 55mins but feeling frustrated as getting older as well. Thanks so much for your kind words. Your story is very encouraging. Can you describe your symptoms of afib before you were diagnosed? About 3 years ago I ran my PR marathon at 3:12 and a year later ran Boston in 3:15. I have progressively become more fatigued and now have not run a marathon in 2 years. I have had allergy testing done and currently get allergy shots hoping that this would help with my breathing. Unfortunately the nose sprays and inhalers don’t seem to be working. I will start out a run and about 2-3 miles in I feel like I’ve hit the wall which for a marathoner is not normal! My allergist referred me to a cardiologist because he doesn’t think it’s asthma or allergies. Wants to rule out any heart conditions. Not my runs are averaging about 6 miles at 8:30ish pace which doesn’t feel that easy. I was suppose to run marine corp marathon but was unable to finish my long runs. I just feel so exhausted and it doesn’t make sense. Honestly I am feeling so devastated. My mind is ready to run but when I get out there my body doesn’t want to go. Any feedback would be appreciated. I’ve been googling to find any symptoms for runners. I have my appt for the cardiologist next month. I will keep on running but as you mentioned for yourself my pace keeps getting slower and slower. I’m 37 which isn’t young but I sill have time for another PR! I recall fatigue that I now attribute to having been in a fib, before I knew I was going in and out of a fib. But in your situation it shouldn’t be hard to detect a fib. Feel your pulse, preferably your carotid pulse (in your neck). Afib will be irregular. In fact, in class we are taught that a fib is “irregularly irregular.” It will speed up, slow down, even seem like it has stopped, and then come back fast again. If a fib were a drummer it would be kicked out of the band! Also – please check out a blog article I posted a while ago about what a fib feels like. Good luck, my friend! it was like a power cut!! I’m 52 and have just been diagnosed with AF. A keen trail runner currently working my way back after a knee injury I actually though well that’s that. Having read this I’m now felling more reassured that my running life does not end with AF. I get it! Slow down! I can do that, easily as it happens. Thank you for this article and all the comments above, it’s put a smile back on my face. Thanks for your kind words. It’s a new challenge! Hi, I was reading through your blog. Very interesting that you all still exercise. I thought I would have to give that up. I was just diagnosed two weeks ago after I ended up in ER with a high heart rate (95 which is high for me) and I just felt like something was wrong. Took me 24 hours to get back into sinus rhythm. They said mine was similar to a Holiday Heart syndrome which I’ve never heard of before, but I personally think it was work stress. Just a combination of a perfect storm. My cardio increased my beta blocker (I was on a low dose due to mitral valve prolapse that I’ve had for years) and I’m just taking baby aspirin. I go in for a stress test in a week as I’ve been having intermittent aches around my chest area. Really scared about that stress test. I’ve heard of people dying from them. I have done two half marathons in the past with mostly walking. I like to walk a lot but I wonder if I still can. I guess I’ll find out from the stress test. Have any of you with afib noticed being more aware of your heart beating??? It seems like that is my biggest problem being new with this. Does this eventually go away? I don’t sleep well at night because as soon as I lay down, it’s so quiet and that’s all I can feel/hear. I’m wondering if I will go back into afib. How do you manage day to day feeling your heart doing weird stuff? Hoping someone can maybe put some of my fears to rest. You all are so inspiring. For me the return to feeling okay took time and a cardiac ablation for Afib. I believe the risk of the stress test, speaking as a physician, is very low, especially for someone who completed half marathons. My cardiologist strongly encouraged me to continue to exercise but recommended I decrease to half marathon from full and ultra marathon. Eventually I could sleep at night and felt more relaxed. You can accommodate to both physical and mental stress. Hang in there. Have hope. I set new goals from PRs at longer distances to participating with family members who had no desire for a PR, but rather they wanted to enjoy the experience. I’ll say this as best I can! Reading through all of the comments and from my own experience there are really two distinct yet intertwined parts to afib. There is the physical issue of the heart not working like a “normal” heart and needing to be adjusted or repaired with medication, ablation, etc. But just as important is the emotional/mental issue. The thought of no longer being able to run, the fear of not knowing when an irregular heartbeat may interfere with your daily routine, the feeling of being tired/fatigued much of the time and many other issues that come up. For me this manifested in anxiety and depression. A constant anxiety of what my life would become if I could no longer do things I enjoyed and depression which for me was losing hope and optimism for the future. My point is we need to address both pieces of our health. We need cardiologists and EP docs to help with the heart. But just as important we need some outlet to deal with the mental and emotional issues that are part of your “heart being broken/out of order”. Addressing the emotional components of fear and anxiety were just as crucial for me as the physical piece. I hope these words will help those reading the blog. Outstanding comment and concept! Thanks. Would you like to write a guest blog entry regarding this? Let me know, if not I’ll add it to my list of upcoming topics that I need to research. Wow! I’m honored to be asked to write a blog. I would love to write a guest blog and expand on this topic. Kool! The guest entries are some of the most popular! I’lll contact you with details. Thanks. I have had afib for nearly 10 years, starting when I was about 80. Now largelyI restrict my running to a regukar 5k Park run every Saturday. Each year have slowed from around 32 mins to nearer 40 mins. These days I tend to spend more Saturdays as a helper rather than a runner as more than a week is sometimes needed as recovery time. I suppose a Bmi of under 19 may be a help. Having started running at school. My ambition is to still ablle to enjoy a run on my 90th.